From 0 to 60 in two decades. Within a single generation, the Indian Offshore Services industry has emerged out of nowhere and become an industry of enormous size and significance. With annual revenues of $60bn, the industry now employs more than 2 million people and is the engine driving the Indian economy. It has redefined the image of India to the world. Its impact is felt not just in India but around the world. The Offshore Services industry attracts a lot of media coverage but very little in-depth analysis. 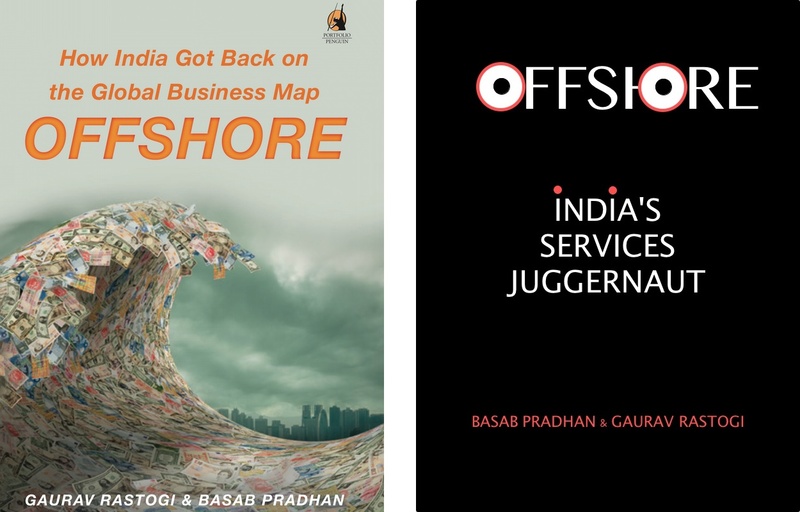 This book explores the Indian offshore services industry from the inside. What conditions created this juggernaut in just two decades? Can it keep growing at this rate? How big can it get? And what challenges does it face in the future? These questions are answered by industry veterans Basab Pradhan and Gaurav Rastogi in their forthcoming book, Offshore. The authors explain the complexities of the industry and the challenges it faces in the next decade in plain English, without resorting to code or jargon. Whether you are in the industry or just curious about it, this is a book you won’t want to miss. In India a print version of the book, published by Penguin, is available in major bookstores and online at Flipkart. In India the book is called Offshore: How India got back on the Global Business Map. Outside India a print and a Kindle version of the same book, but with a different title, is available on amazon.com. The Kindle version is not available for download from India. The Facebook page for the book can be found here. I hope your book will provide helpful content for IT entrepreneurs like Jessie Paul’s No money marketing and Subroto Bagchi’s The high performance entrepreneur. Best luck and Best wishes.